Apex Legends came in hotter than an orbital drop pod on Monday, and developer Respawn is already teasing full-on new maps and modes for the game. A "deep dive trailer" for Apex Legends includes a sneak peek at the contents of four upcoming seasons across 2019, and studio co-founder Vince Zampella went even further into the future in an interview with VentureBeat. Let's start with the interview, which was conducted a few days before the game launched. Zampella was optimistic when asked about the kinds of things Apex could do in the future and left the door open to even more, depending on how players reacted. Yesterday, he revealed that Apex managed to attract more than a million players in the space of its first 8 hours, so… good sign! "This is just the start of our journey," Zampella said. "There will be new maps, new modes, new characters, new weapons, new skins. There will be a ton of stuff coming over the next year to 10, maybe. It depends on how successful it is." The game roadmap pictured above also includes mention of new Legends (playable characters), weapons, and cosmetic items. It doesn't say anything about new maps or modes, so either we'll have to wait past December 2019 for those to show up or Respawn just doesn't want to commit to a timetable for them quite yet. I'd lean toward the latter possibility - very doubtful we'll only have the one mode for this whole year. I'm all for new modes, as long as most of them are still squad-oriented (I like playing Lifeline, the medic, and she wouldn't be much fun solo). New maps could be a trickier subject. Fortnite has made a compelling argument for one mega-map that evolves over time. Apex's default map is a good deal smaller than Fortnite's though, so maybe it would be better to just put out an entirely new one every now and then, a la PUBG? I remain open-minded either way, since I probably would have just rolled my eyes a month ago if you told me a Titanfall battle royale without titans was coming and it was gonna be a great time. 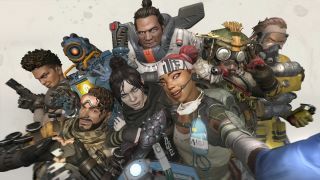 Find out more about how Apex Legends came to be in our extensive interview with its creators.